Here we are with the first "figure of the month" post in our new home. Another background character - the 41 backs really pumped them out. But he was an essential figure in any Hoth battle. 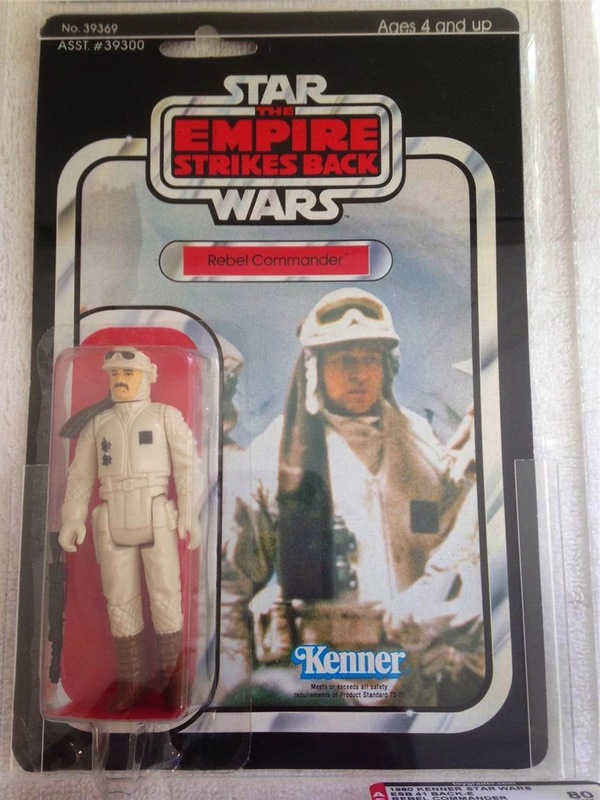 And while we (kids from the 80's) no doubt had an extra Hoth Soldier or two, it was always nice to add the Commander to one's Rebels. I can recall his hand being a little on the small side, and fitting a weapon in it didn't give as sturdy a hold as for say Hoth Han or the Rebel Soldier. As I've remarked a number of times with my MarketWatches, I'm often surprised at just how many variants of the figure sell during the 3 months of data I can access. No let down this month, with all his ESB cardback variants changing hands - as Skye would say, "you could have put a pretty decent run together, and in this case for not a whole lot of money." 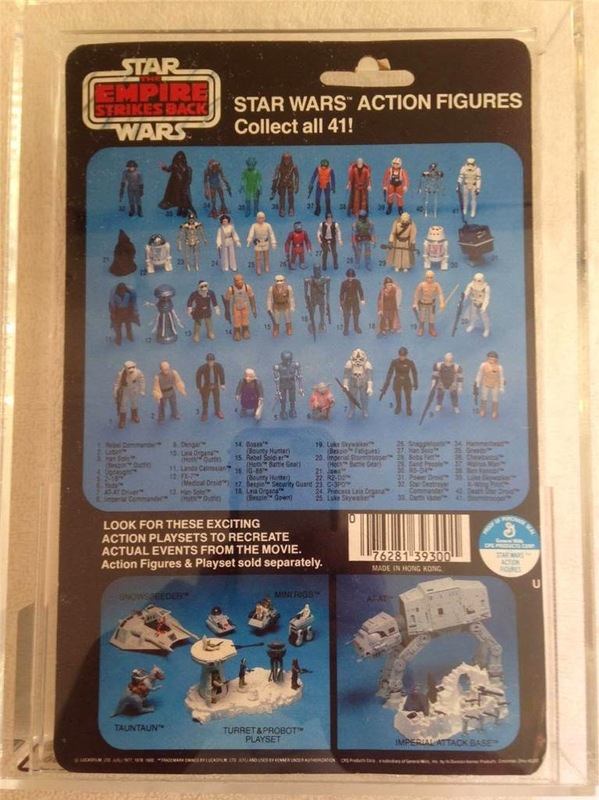 ESB recap: Quite a nice assortment of graded and ungraded pieces. It always amazes me the volume of pieces swapping hands (and just on ebay). And its not just recent hype (though I'm sure that is aiding pricing), but when I first started watching the market, it was pretty common to find almost all cardbacks selling over a few months for the figure of the month. His debut card (41A) were nice - with the sale of around $140 for the AFA75 a pretty decent deal (again reinforcing that if you're prepared to settle for a 75 relative to an 80 and / or 85, you can save some good $$). The 45 and 47 weren't in too bad shape and for $80 and $50 respectively they were nice deals for the buyer. The 41E selling for over $400 was a monster sale (and was only an AFA80 !! ), fully reflecting the hype of the past 12 months. It was a really nice example though, and I know those 41D/E can be hard to find with a clear bubble. The two ungraded 41E's, with yellow bubbles,were much more inline with where you would think they should end. 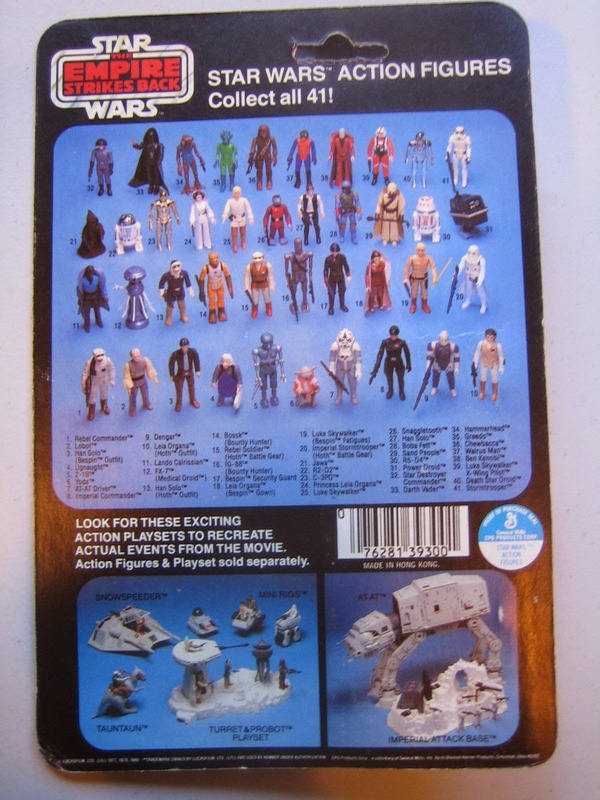 The Coin offer MOC was great - and how could any focus collector not love that for his Rebel Commander collection!! Unlike the ESB cardbacks, this is all I could find. 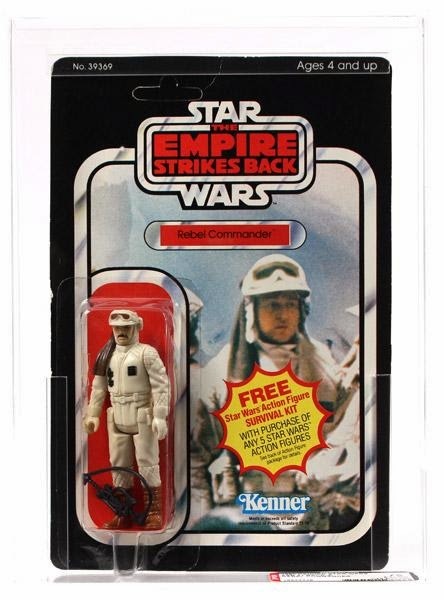 And lastly, I found an ESB Wampa - AFA80Q with the Rebel Commander (not Luke) picture. This had been listed at a Buy It Now price of $400 and didn't sell. The seller decided to list at auction - and it did well, reaching close to $300. I was actually really keen to add this to my collection - but missed out. Damn it!! 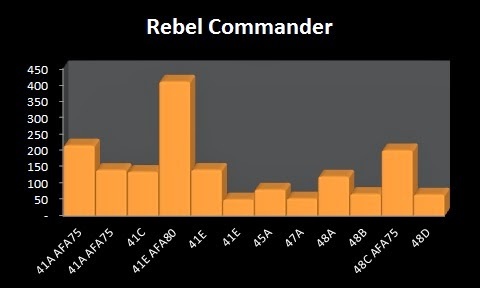 That's all for the Rebel Commander. Was somewhat satisfying finding all his ESB cardback variants - and at around $140 a pop he hasn't been too impacted by the price hype. 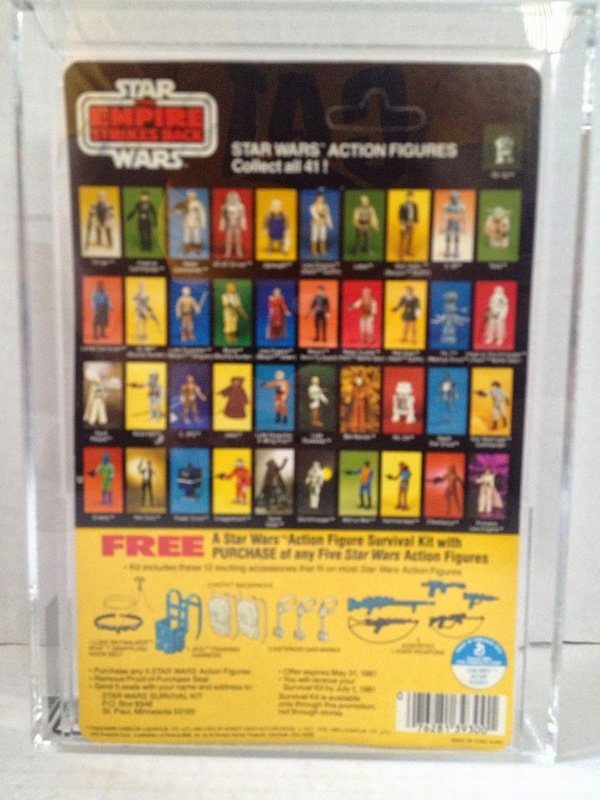 The mark of a true peg-warmer: ESB card with coin stickers on the front AND back.